We had an amazing time – Food was great, Everything was organised, Staff was professional. Special thanks to Dom, May, Simon and Abby!! Dom was the one who introduced us to this perfect venue – He’s very nice and helpful, it only took us 1 hour to decide this is the place we wanna host our ceremony. 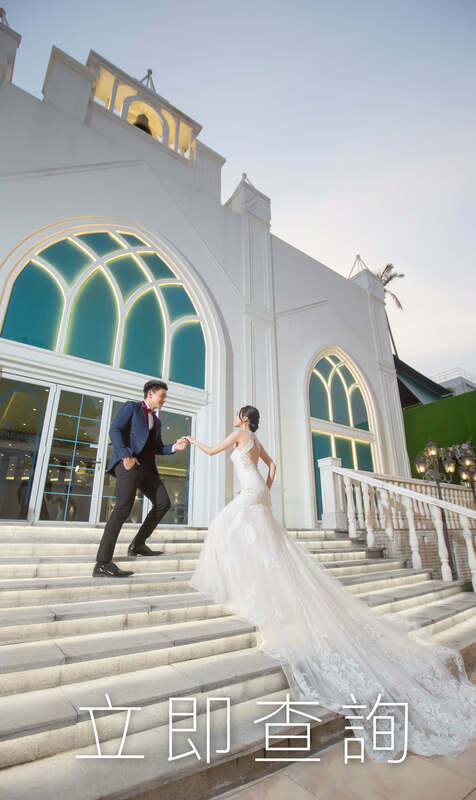 May – oh my gosh, she is a real star (from her appearance to her personality) she was very patient to all my questions and stayed calm and organised to make sure my wedding went smooth. Nonetheless, she is a GREAT MC!! Simon – I’ve only met him on the day, but trusted him in a second. He is very thoughtful and pleasant to work with, what do you need to worry if you have him on the site! Abby – She’s like a big sister who takes such good care of the bride – always taking the blanket in case you felt cold, how sweet! So thank you everyone, and highly recommend this place! 我們剛剛在10月24日下午在my garden 舉行了簡單而隆重的證婚午宴。 賓客對場地也感到很舒服， 像西式家庭派對感覺。 多謝My Garden 團隊 ，他們的專業和體貼。 特別鳴謝Consultant Sandra ，由見面籌備婚禮的細節到Big Day的貼心安排都不遺餘力，令整個婚禮順利完成。 再一次感謝你們! My Wedding was nice and smooth! Thanks Tracy and the whole team including kaka, brother fai. They all are helpful, polite, cheerful during my wedding. All staff work with spirit too! Special thanks to Tracy who had being my consultant and MC in my wedding. Very nice voice with good presentation. My husband and I had a quite relaxing and happy mood….guests were selfied within the beautiful venue, seems enjoyed themselves too. It’s really good to pick My Seasons team as I didn’t need to spend too much time for preparation before the wedding…I think their service is better than that provided by restaurant or even hotel.